This is a letter to anyone considering travelling further afield or for an extended amount of time, or even those considering moving abroad. This is a letter to say do it. It will be one of the most terrifying and stressful experiences of your life. But it was also be the most rewarding, fulfilling, eye-opening experience you will ever have. Do it. Travel can be hard and scary, moving abroad especially so. I'm not going to lie and soften that blow, as you need to be prepared. Feelings of displacement and homesickness are totally natural, as is making mistakes and getting lost and miscommunication issues. I'm telling you this so you don't go in blind. Plenty of people jet off around the world, totally unprepared (both logistically and mentally) and call it quits pretty quickly after arrival. Do your research about wherever it is you're heading, and about what moving abroad entails, in every sense. You will get stressed and scared and homesick, but I would encourage you not to let that put you off; if I had, I would never have survived abroad for as long as I have. Give it a little time to allow yourself to adjust, to meet people, to learn your way around your new destination, and in most cases, you'll find it grows on you quickly enough. And tough as these things sound - I know, this doesn't sound like a very encouraging letter so far, but bear with me - it will be worth it. Travel and living abroad changes you, for the better. You will find inner strength and independence that you didn't know you had, as you're forced to adapt to new circumstances and find solutions to new problems on your own. 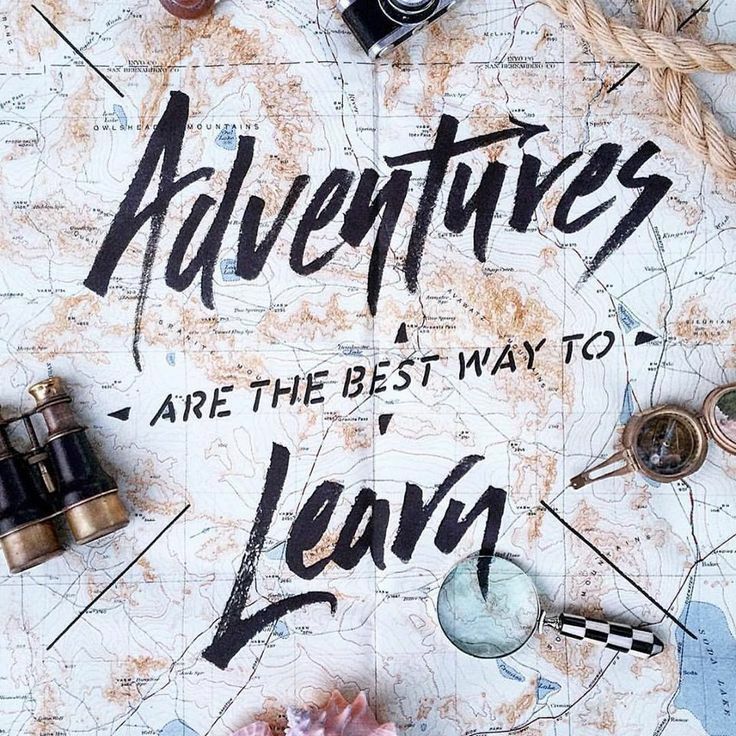 The sheer act of moving abroad shows a level of bravery and adventurousness, so embrace that side of yourself. And travel opens your eyes to the wider world. Definitely, do not spend all your time comparing your destination to your home country, as you'll quickly start to dwell on the negatives. Instead, embrace this new culture. Learn as much as you can about it, find substitutes for the things you miss from home, and learn to understand and appreciate how vastly different our world is. This awareness will also make you a more compassionate and tolerant person, as you're forced to adjust to a culture that is not your own, and can empathise with others around the world who have done the same. Travelling and moving abroad also presents so many opportunities you wouldn't get back home. I've seen so many new places and met so many people in the past two years (and I'm not done yet either! ), and experienced things that lots of people won't get the chance to do. Seize every opportunity you can while travelling, as you may never get the chance again. I've seen sunrises over ancient temples in Cambodia, partied all day on boats in Hong Kong, cycled through the rice fields of Vietnam, bathed with elephants in Thailand, hiked along the Great Wall of China, and so much more over the course of the last two years (not to mention my other travels before then). As that oh-so-often-Instagrammed quote goes, "You'll only regret the chances you didn't take" and it's very true. If any part of you has considered travelling or loving to new places, of trying out new experiences and cultures, then do it, or you will spend the rest of your life wondering about what you might have missed out on. Travelling and living abroad is hard, I won't lie about that. But it is also so, so worth it, for the people, places and experiences you will encounter, and for the ways it changes you as a person. To anyone on the fence about whether or not to do it, I'm telling you all; do your research, pack your bags, and go. There's a great big world out there to be explored.